Please scroll below the photo to access links to all published online articles on the passing of Susan. Links will be added if we discover additional tributes and/or news articles. Members of the Trager Family wish to extend their sincere appreciation for the outpouring of support and kind words of condolences we have received from the many friends and colleagues of Susan. 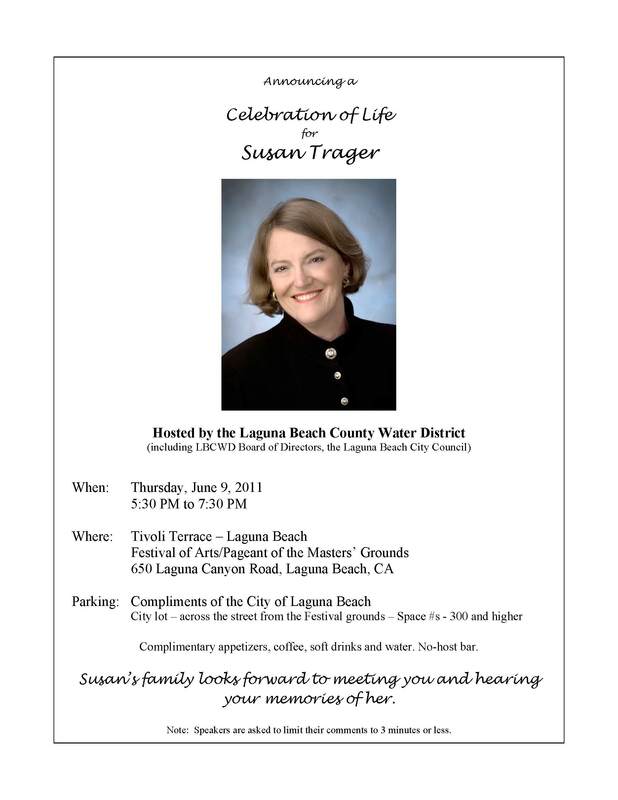 Our Family wishes to let everyone know that we are coordinating with the Laguna Beach County Water District in the planning of a Celebration of Life for Susan which will be held at a later date. We wish to thank you all for your patience at this difficult time for us. Private family services will be held in Connecticut. Images, credentials, and notices from the extraordinary life of Susan Trager. Click on SMT’s Card to launch a visual slideshow. So, you want to be a big time Water Lawyer? Compare your resume to this 1974 version from the personal files of SMT. 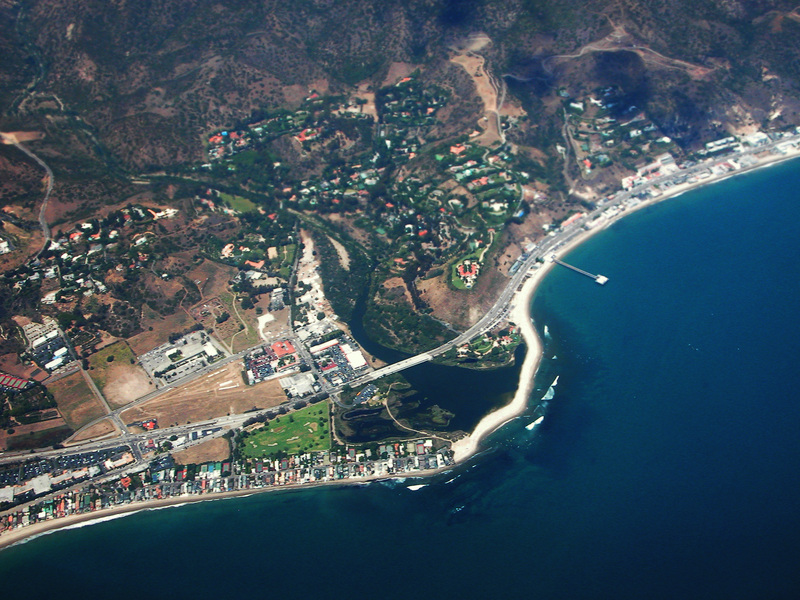 And now for something completely different–a look at your water problems from a Southern California perspective. I work for the Metropolitan Water District of Southern California. 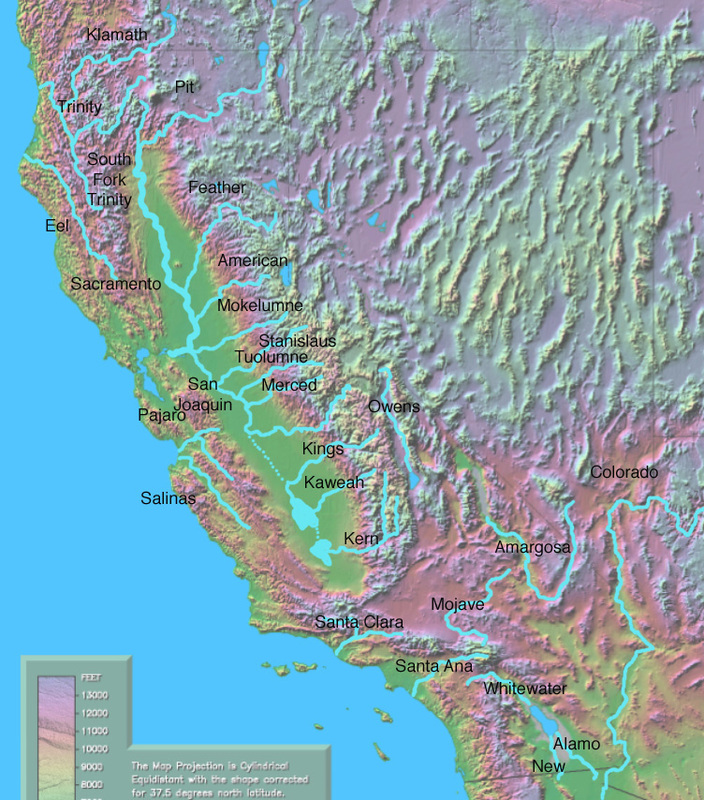 Up until three years ago, my paycheck had come from a Northern California newspaper. But I went over to The Wet Side. Now the Chronicle has asked me to share a different vantage point on our not-so-little water problems of the day. 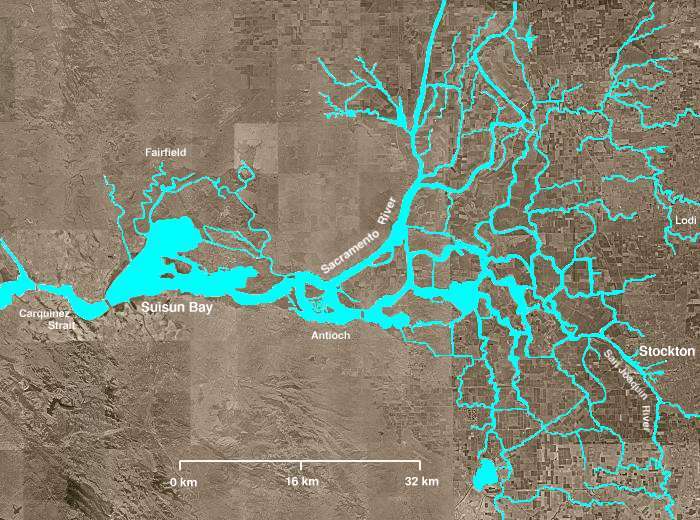 U.S. Senate hopeful Carly Fiorina argues that water shortages in California’s farm country are indicative of wider economic challenges facing California, and that if elected she would try to loosen environmental restrictions on Delta water pumping. A spokesman for incumbent Sen. Barbara Boxer counters that her efforts to make it easier to buy water and to increase supplies without bending environmental rules are sufficient.